dotCYM: Campaign in Wales for the web domain ".cym"
Official Press . Why dotCYM? Because the Welsh language and culture is a community that we believe should be identified and enhanced by having its own sponsored TLD on the Internet. Under a .CYM sponsored TLD those organisations, companies and people that express themselves in the Welsh language and/or wish to encourage Welsh culture will be able to be registered and will be clearly identifiable. The dotCYM campaign was formed by a group of like-minded individuals drawn from the fields of commerce, computer programming and design, public relations, law and publishing who saw the need for a Top Level Domain for the Welsh language community. A .cym TLD will play a strategic role in validating Welsh culture and language in an age of increasing globalisation. It will make it easier for individuals and groups who wish to associate with the community to identify with other users around the world. The success of the dotCYM campaign will unite the Welsh-speaking communities across Wales, the UK, and the rest of the world. There are historic Welsh communities in North and South America, as well as Australia. The success of the dotCYM campaign will confirm that the World Wide Web really is multi-national and a multilingual medium. It will also play a pivotal role in promoting further the use of the Welsh language on the World Wide Web as a modern medium of communication. The relative cost effectiveness of the web compared to traditional print publishing also makes the web especially attractive to smaller language communities such as Welsh and is a great emancipator. Large parts of open source software are already available in Welsh such as Open Office. The Linux system is available in Welsh, and work is ongoing to create a Welsh language version of Mac OS X. Following negotiations with the Welsh Language Board Microsoft Windows and Microsoft Office is also now available in Welsh. Google also offers a Welsh language interface for its search engine. The next step is a Welsh language TLD. Large companies such as Microsoft and Google have already realised the opportunities gained by offering services in Welsh, and in other languages of choice, for millions of speakers of languages other than the more conventional larger languages. It is now extremely important that the organisations who run the World Wide Web also grasp the opportunity to support online language communities, such as Welsh. Wales is not an independent country, but the Welsh language has more speakers than languages of independent European countries such as Icelandic (240,000) and Faroese (70,000). Although the web was originally and still predominantly an English language medium, the world wide web is now going through a dynamic period of linguistic democratisation, of which the increasing presence and use of Welsh is one reflection. According to research made in 2002, Welsh is the 42nd most widely written language on the web and the 56th most widely written language on the international Wikipedia above larger language communities, including state languages, such as Macedonian, Latvian, Tagalog and Tamil. There are many Welsh language blogs, popular Discussion Forums, and a Welsh language Web-mail service. The Welsh-speaking community has always seen itself as a literary community with the pen taking precedent over the sword. The development of the language has been a source of inspiration. The World Wide Web gives the Welsh language an opportunity to create its own niche that it already enjoys on the field of sport and to a growing degree in politics. 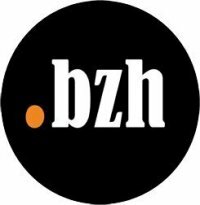 The idea of applying for a “.bzh” top level domain was first mentioned in 2004 by Christian Ménard, member of the French Parliament. The introduction cat in 2006 revived the idea. An online petition, initiated by Mikael Bodlore-Penlaez via the Geobreizh.com website, has mobilized public opinion and encouraged local authorities to state public support for this project. The Conseil Général d’Ille et Vilaine (14 April 2006), the Conseil Régional de Bretagne (14 June 2006), the Conseil Général du Finistère (15 June 2006) have unanimously supported the idea of creation of a. bzh. In 2007, the Regional Council of Britain initiated a feasibility study of the project. Under the direction of a steering committee involving various stakeholders, this study has resulted in 2008 in the establishment of a formal structure to support the Breton application : http://www.bzh. The http://www.bzh association is responsible for establishing the application, gathering the necessary funds to ensure its submission and its promotion within the Breton community. The association in December 2008 has been granted financial support from the Conseil Régional de Bretagne. The online petition has so far received more than 18,500 signatures. Official Press – “An Kesunyans Keltek Scoren Kernewek” is the Kernow (Cornwall) Branch of the wider Celtic League. The Kernow Branch is well supported and has a large membership base with members not only in the Duchy but elsewhere as far afield as the USA and India all of whom share some connection with the Motherland. People are from all backgrounds, politicians, academics, students, unemployed, farming and so on. The Branch has a fair share of those who speak fluent Cornish but also encourages its membership to learn the language at the many classes now available. It meets monthly and distributes the Celtic League’s very own ‘Carn’ Magazine as well as Branch newsletters and updates. Cornish members regularly write for ‘Carn’ and a wide variety of other publications. The Branch has campaigned for a thorough investigation into the tragic loss of the Breton fishing vessel the ‘Bugaled Breizh’ off the Cornish coast with the loss of all those on board and also has been instrumental in the campaign to have Irish Prisoner of War, Noel Macguire repatriated to Ireland which was recently achieved. The Branch works hard in practical support of Mebyon Kernow – The Party for Cornwall – Website at: http://www.mebyonkernow.org/ and is involved with a wide variety of other campaigns as part of the wider Cornish movement. The Branch is very outward looking as befits a Cornish Atlantic fringe organisation and members regularly travel in support of events in the other Celtic Nations. New members from wherever are keenly welcomed and their Email address is: kernow@celticleague.net although contact may also be made via the Celtic League’s home website. A ‘‘Facebook’ ’ Site and ‘Twitter’ are also maintained by the Branch. Filed under: Celtic Culture, Celtic Leagues and Orgs. Conradh na Gaeilge was founded in Dublin on 31 July, 1893 by Douglas Hyde (Irish: Dubhghlas de hÍde), a Protestant from Frenchpark, County Roscommon with the aid of Eugene O’Growney, Eoin MacNeill, Luke K. Walsh and others. The organisation developed from Ulick Bourke‘s earlier Gaelic Union and became the leading institution promoting the Gaelic Revival. The League’s first newspaper was An Claidheamh Soluis (The Sword of Light) and its most noted editor was Patrick Pearse. Though apolitical, the organisation attracted many Irish nationalists of different persuasions, much like the Gaelic Athletic Association. It was through the League that many future political leaders and rebels first met, laying the foundation for groups such as the Irish Volunteers (1913). However, Conradh na Gaeilge did not commit itself entirely to the national movement until 1915, causing the resignation of Douglas Hyde, who felt that the culture of language should be above politics. Most of the signatories of the 1916 Proclamation were members. After the foundation of the Irish Free State in 1922, the organisation had a less prominent role in public life as Irish was made a compulsory subject in state-funded schools. The organisation successfully campaigned for the enactment of the Official Languages Act, 2003 which gave greater statutory protection to Irish speakers and created the position of An Coimisinéir Teanga (The Languages Commissioner). Conradh na Gaeilge was among the principal organisation responsible for co-ordinating the successful campaign to make Irish an official language of the European Union. Most recently, the organisation has become embroiled in a dispute with Irish political party Fine Gael over the party’s policy to end the status of Irish as a compulsory subject for the Leaving Certificate. Conradh na Gaeilge have responded by asking voters in the next general election to vote only for candidates who are in favour of Irish’s required position remaining. The organisation has branches in several parts of Ireland and is closely involved in the development of the annual cultural festival, Oireachtas na Gaeilge, as well as the annual Seachtain na Gaeilge promotional campaign. Conradh na Gaeilge has recently opened free legal advice centres (Ionaid Saor Chomhairle Dlí) in Dublin and Galway in partnership with Free Legal Advice Centres. Most recently, the Minister for Community, Rural and Gaeltacht Affairs, Éamon Ó Cuív, has announced that he is to move the organisation out of its headquarters in central Dublin and relocate the organisation to the heart of the Ráth Cairn Gaeltacht in Meath. He cited the reason that not many people are using the building.